If you’re thinking about investing your hard-earned money into rejuvenating the landscaping around your house or business, it is essential to keep in mind that not all landscaping business are the same. Usually people choose the first business they find, then wind up dissatisfied when the business they employed either cannot provide what they promised or they’re frustrating to deal with. Below, we’ve gone over a few of the important things to look out for when choosing the best landscaping business in your area to work with. Many landscaping business promote themselves as complete landscapers, but do little bit more than basic yard upkeep. If you’re trying to find a lawn cutting service, that may be sufficient. On the other hand, if you intend on having a significant part of your yard completely overhauled, the smart option is to select a business that works on all fronts. This means everything from watering and yard care to lighting, hardscapes, waterscapes, and anything in between. Not only is it much easier to deal with a company who can offer all the services that you’re looking for, but it ends up being easier on your wallet. 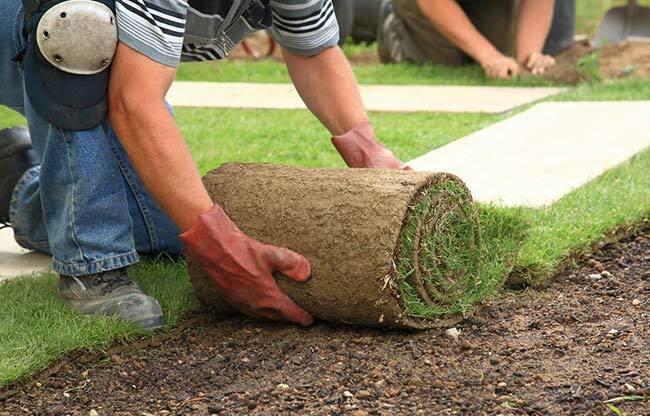 Contracting different tasks out to numerous landscapers can cost you a lot compared to a single service provider who will roll everything you need into a cost-saving package. This can considerably decrease confusion down the road as well if you need work to be remedied. With 2 or more different business included, wanting to get something repaired or remedied might become a headache. You can get one business blaming the other while the issue goes unsettled. Chances are that the longer a landscaping business has been around, the more reliable and capable they will be. Experience means a lot when it comes to landscaping. Businesses that hold up against the test of time show they can get and keep a devoted and pleased client base. If their services aren’t very good, they would not have lasted long against their competitors. Everyone’s circumstances are different, but a landscaping business that’s only had its doors open for a year or two is more risky to work with as they’ve not developed a tested history of dependability and quality. Another element to think about is the expense of services. Less knowledgeable (or less capable) landscapers will frequently charge less. However, similar to many other things in life, you get exactly what you pay for. Virtually anybody can begin their own landscaping business. However, a lot of them won’t have the ability to provide proper qualifications when requested. Licenses and accreditations are a key indication that the business is not only established, but they’re also mindful about the requirement for efficiency and a continuing pursuit for quality. A business that puts high significance on the requirement for proper accreditations and licenses will guarantee that workers are both certified and trained in their field. You can be sure work provided for customers will be carried out to your exact requirements.